The Springfield’s ride comfort is outstanding but this wasn’t my priority as I ploughed through a long sweeper at a speed that wasn’t quite as stately as the script called for. My attention was on the wonderful steering, which gave me the faith to ride out the Indian’s looseness while sitting relaxed behind the screen in a supremely comfy saddle. It was almost like being in my favourite armchair doing a virtual reality aerobatic flight, except real and on the ground. I know I should have slowed down but this was too much fun! So I kept it pegged, listening to the huge V-twin roar. When I did sit back and chill later in the day, the landscape lit up in golden tones while the sun dropped behind me. Plonking along just under the speed limit with the engine ticking over at little more than 2000rpm, now I thought about the way Indian’s big-twin bagger floated along with enviable grace. The Springfield has found magic-carpet qualities that I don’t recall feeling in anything for a long time. It’s also the best steering of all of Indian’s Chief-based models, and it has every other bit of greatness that the new-but-old American brand has infused into its range. Indian’s engineers have clearly learned a thing or two in the few years they’ve had their bikes on the market, and the Springfield benefits from the refinements they’ve worked out. It’s not simply a Vintage with hard panniers. If you thought that — as I did at first — you need to scrap that notion now. The Vintage is built up as a light tourer on the cruiser’s chassis, whereas the Springfield is developed from the touring chassis, stripped down to be more of a cruiser. The engine hasn’t changed. Indian’s Thunderstroke 111 V-twin makes the most of its huge 1800cc capacity. It seems to put no effort at all into building up 139Nm of torque, probably because it’s already approaching that peak output even before it is doing 2000rpm. 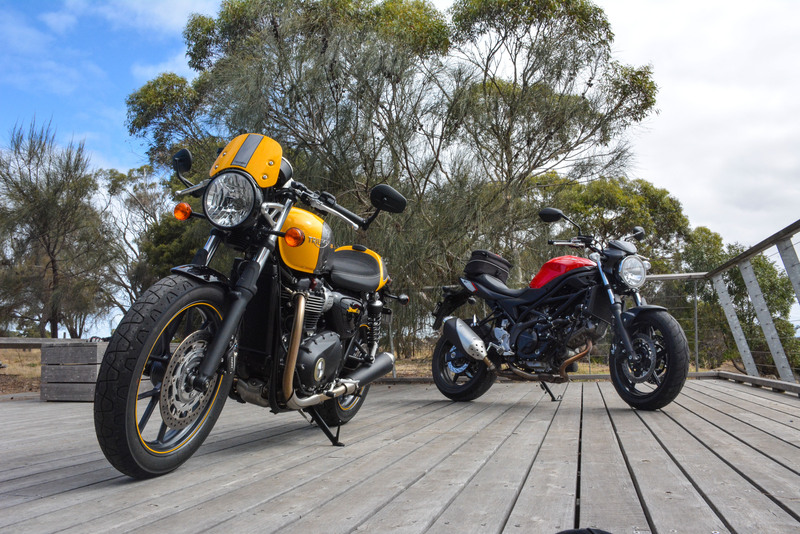 Most six-speed big-twins can’t hack the lack of pace if you try to hold them down to 60km/h in top gear but the Thunderstroke will. It’s very cool how this motor’s carefully designed cylinder heads and turned-down header pipes give the impression of a side-valve design. It’s just as cool that its performance is so strong. On the highway in top gear — which is of course the Springfield’s primary reason for being — you never have to take it out of sixth gear, even two-up. Naturally, you’ll use fourth (forget fifth, which is too close to sixth to be much use) for quicker overtaking sometimes, but sixth does the job most of the time. Twist the grip and the engine winds up all its torque and rolls it out with deliberate, satisfying force. The power won’t reef your head back, but the sheer unstoppability of the Springfield is what really counts. The gearbox is as sweet and pliant as a desert flower under a biker’s boat and the clutch is smooth and strong without a heavy lever. The transmission is a lesson for most makers of V-twin cruisers. 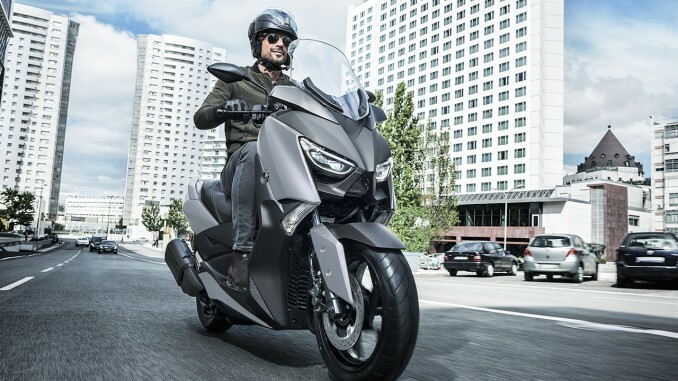 Indian’s chassis engineers have gone for comfort over handling, and what stands out about the result is that the comfort levels are way above average yet the handling isn’t bad. I really enjoyed it. There’s no harshness to the suspension, no jolts or jars except when the bumps are just too big for anything but an adventure-tourer. To sit on the Springfield at a pleasant touring pace and feel it glide is to know serenity. The trade-off is apparent in the light damping — the big ship rides on a bit of a swell when you go hard and fast. It’s vague and almost wallowy, but not so much that you don’t feel in control. Especially if keep things smooth. The other beaut thing about the Springfield, which I mentioned earlier, is the steering. They’ve retained the 25° rake of the Roadmaster but shortened the trail to 133mm. Compared with the Vintage, rake and trail are much more radical so you instantly pick a big change in the Springfield’s willingness to turn. It has the lightest steering of all the big Indians, with quick response and delightful agility. You’ll appreciate this lighter steering when your Springfield is loaded to the gunwales. And boy, can you load this baby! Thanks to its use of the Roadmaster’s heavy-duty frame, the Springfield can carry a phenomenal 242kg of people and luggage. That’s 50kg more than Vintage; one of your kids, perhaps. Three-up family touring, anyone? The Springfield arrives with cruise control, 12-volt outlets, keyless ignition and remote locking, a reasonably comprehensive trip computer, tyre pressure monitors and decent lighting. The windscreen is quickly removable and the panniers come off leaving little trace of their existence, so your Springfield becomes a Chief when you want it to. The bike is not short on comfort. The riding position is supremely relaxed with ample room to move around and a brilliant, unique seat that’s well shaped, large and filled with superb padding. Your pillion’s seat is almost as good and their feet rest on boards, not pegs, that are adjustable to get their legs bent at the most comfortable angle. There are many reasons to buy a Springfield. Most of all, though, it’s the fact that this bagger does the big miles on higher levels of comfort, grunt and ease. 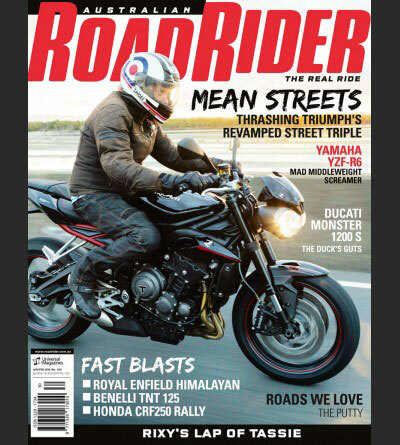 A full version of this test appears in issue 128 of Australia Road Rider, on sale August 18 2016. For more info and full specs, see the Indian website.